Many people’s minds turn to basketball during this time of year. Not mine. 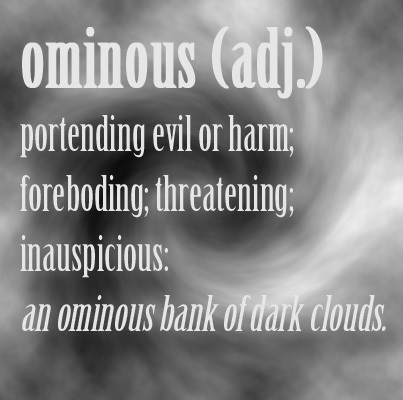 I think of Julius Caesar and the dire warning to “beware the Ides of March.” So March is the perfect month for #Otherworldly Words to explore the vocabulary of warnings. Each word in this group foretells something wicked this way coming. Of the words that prognosticate, many, ominous included, warn of something bad (auspice is one of the exceptions to this rule). I think this is due to the likelihood that we often have “a bad feeling” about a situation, perhaps our sixth sense or intuition telling us we’re about to do something stupid.